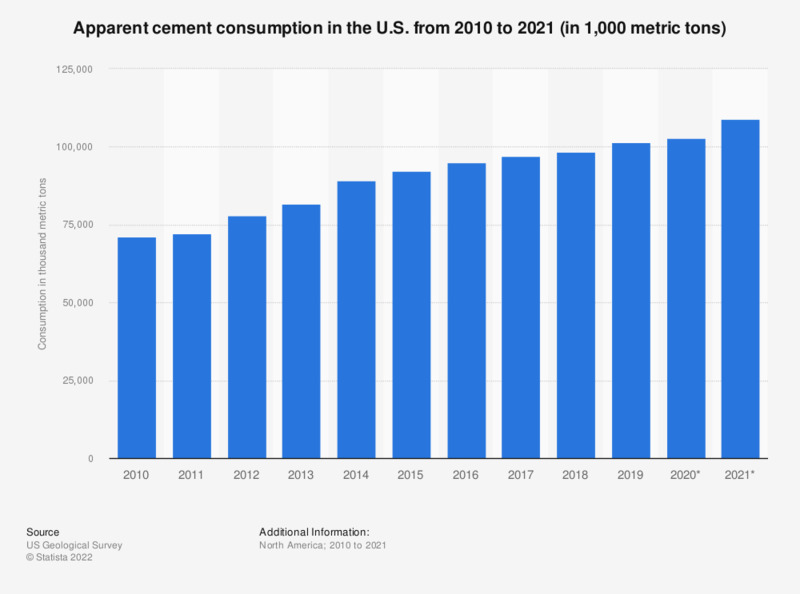 This statistic represents apparent cement consumption in the United States between 2004 and 2018. In 2018, the U.S. consumed around 100.2 million metric tons of this building material, which is mainly used in the construction industry. Cement sales increased in 2017, largely due to imports, reaching over 12 billion U.S. dollars. The values for 2004 through 2013 are taken from previous editions of the publication. Apparent consumption = production (including from imported clinker) + imports (excluding clinker) - exports + adjustments for stock changes. Includes Portland and masonry cement; excludes Puerto Rico. Everything On "Cement industry in the U.S." in One Document: Edited and Divided into Handy Chapters. Including Detailed References.